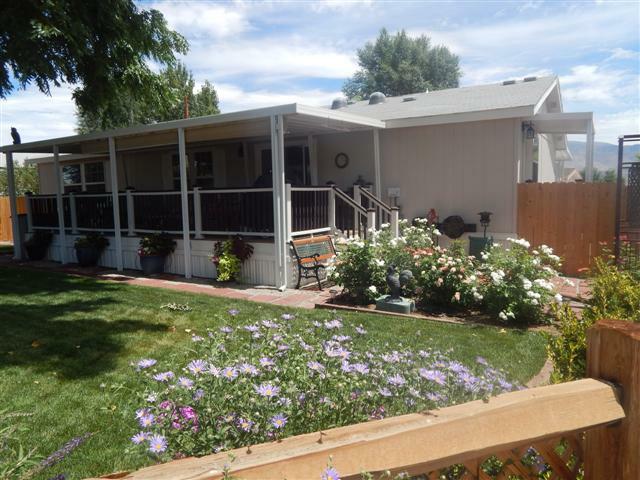 This immaculate 3 bedroom 2 bath mobile home has the best views in Bishop. Located downtown. This home's expansive deck and windows face open DWP land with a panoramic view of the mountains. Gorgeous landscaping, hardwood floors, skylights, 2" wood blinds in living room and den. This home has more to offer than most. Turn Key! The Sunland Village Mobile Home Park is located on the west end of Bishop. This senior mobile home park is quite, clean park with amazing views. These mobiles make a great vacation home or a permanent location. Your close to town but far enough off the main road you get that rural feel.